When You are Bored, Why Not Try Something New? Often in the winter months (or in the spring when winter seems to be lingering), it's easy to find boredom in creating photographs. The days are short and grey, the trees are bare, and let's face it... it's too cold to go outside! But it's during times like this that I like to try new things. Panning is something that I've fallen in love with in my seascapes. I hold the camera level and move my body side to side horizontally at a slightly slow shutter speed to create an image that is abstract and yet still identifiable. This technique can also be practiced vertically. 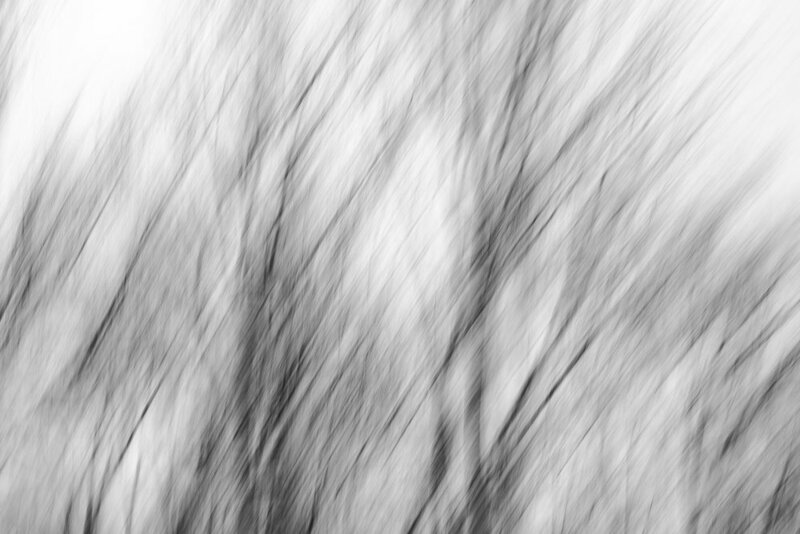 I spent one afternoon staring at leafless trees panning the camera up and down and even slightly side to side to create these images. They are totally different than what you would normally find in my collection, but I think that's what makes them special. In trying something new, I found that I really love the result and thinking outside of my creative box gave me freedom to express myself in a way I hadn't done before.